Digital X-Rays/Radiography Lansdowne, VA 20176 | Atiyeh Emam, D.D.S. Dental radiographs (x-rays) are an important part of your preventive dental care. In conjunction with an oral examination, radiographs provide Dr. Emam a more complete picture of what is occurring in your mouth; issues that cannot merely be seen by the naked eye. Radiographs show hard tissues (teeth, roots and bones) and soft tissues that surround your teeth and bones. They allow her to more closely see decay (cavities), diseases in the bone, periodontal (gum) disease, infections and some types of tumors. In addition, even subtle changes can be noted with the review of historical radiographs taken allowing for early detection that saves you treatment and finances. A Panorex radiograph gives an additional perspective of the entire maxillofacial area which includes the mid-face, upper and lower jaws and joints. Several factors work together to make dental radiography safe. Dr. Emam uses digital radiography which requires 50-80% less radiation than that required for film imaging. In addition, the amount of radiation used to obtain these digital radiographs is very small. The average dental radiograph is only.30 mREM (radiographic unit of measure). A full mouth series is only about 6 mREM for a patient. A Panorex delivers approximately 2 mREM. By comparison, the average person in the US is exposed to about 360 mREM per year just from naturally occurring background sources. Accordingly, it would take 60 full mouth series with the digital radiography Dr. Emam uses to equal the background radiation the average citizen is exposed to on a yearly basis. 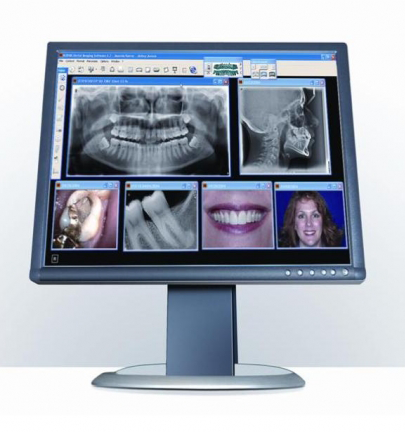 The benefits of digital dental radiographs far outweigh any concerns.